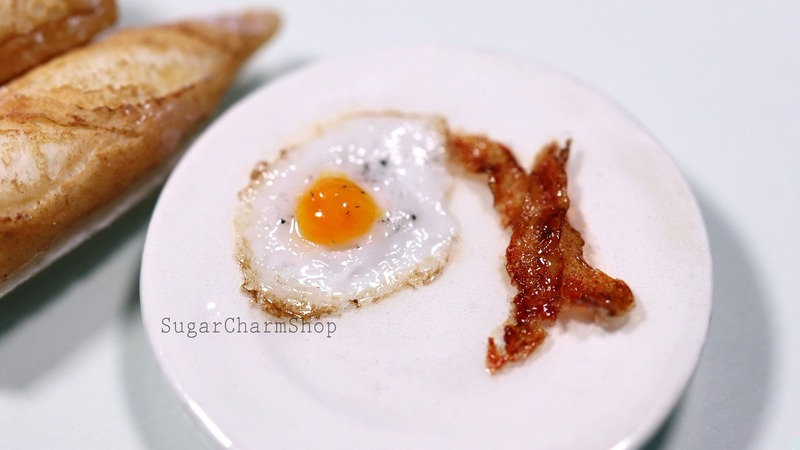 In this video I'll show you how I made these fried eggs and pieces of bacon. *plate tutorial not included. I will show you the colors of clay, paint and other materials I used (though not the exact amounts of each color of clay as I always eyeball it when mixing). You'll also get the measurement for the pieces to be able to recreate it in 1:12th scale. This tutorial is made to stream only and can be streamed as many times as you'd like after purchase. if you have any questions about the tutorial after purchase please do write me a message!